Hi! Today I’m going to present the Pennonia Tintenbuch. It is an ink swabbing book that will help you view the colors in your ink collection, you’ll be able to organize and compare your inks as you see fit. Our American readers are more than likely already familiar with a similar product called the Col-o-Ring created by The Well Appointed Desk. The Tintenbuch was created to fulfill my personal need to have a similar product at my disposal. I’m an avid pen enthusiast with a huge ink collection and I’ve been longing for a similar product like this ever since I saw my first ink swatch card. The problem and was that it is simply too expensive to buy products from the US when you are located in Europe. Not only is shipping expensive, but you will have to pay customs tax and VAT as well. If you’re also like me who lives in a small town you’ll also need to travel to the nearest customs office (which is 30 km from me). That’s basically why the Pennonia and the Tintenbuch exists. 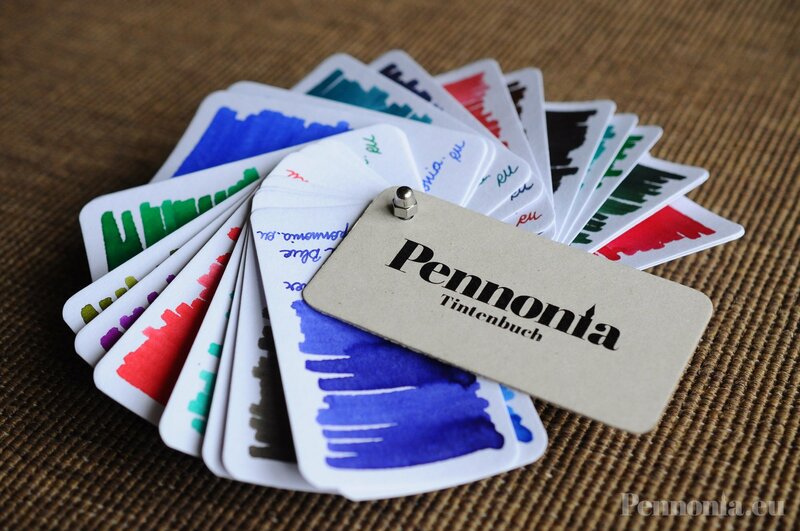 So to sum it up, the Pennonia Tintenbuch is an ink swabbing book for us in Europe so we can also enjoy and organize our inks into neat little color swatches. Without further ado, let’s jump into the presentation!